Osuda is a brand of matcha milk spreads founded by accidental housemates Mika Goh and Bone Cheah in 2016. 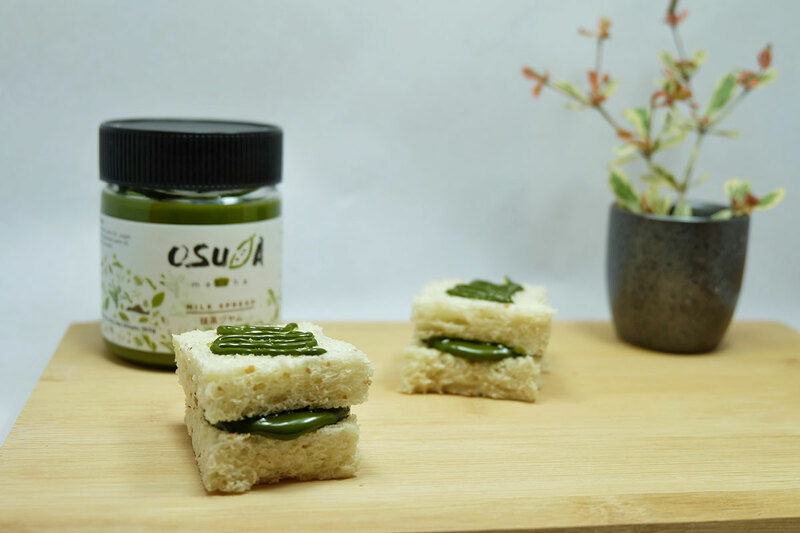 Compared to matcha spreads of the imported Korean variety, Osuda is tweaked to match local tastebuds that prefer a less sweet flavour. Each bottle of Osuda matcha milk spread retails for RM19.90 per 160 grams. When eventual business partners Mika Goh and Bone Cheah got properly acquainted, it was really only by chance. At the time, little did they know that this meeting would eventually turn into a profitable F&B venture—more specifically, a business selling matcha (Japanese green tea powder) milk spread—think of a sort of kaya to be put on toast, biscuits and other sweet confectioneries, except with the flavour of sweetened Japanese green tea. According to Mika, the idea came up during a catch-up over some tea. Also, Mika said he noticed at the time how a particular brand of matcha milk spread was selling for over RM50 for 200 grams—a price that he and Bone agreed did not exactly represent good value. A short period later, Mika and Bone found the reception to their own product—made simply from palm oil, sugar, skimmed milk powder, and imported matcha powder—to be overwhelmingly positive. “The response and feedback was too good, and we regret that many other matcha lovers didn’t have a chance to try it,” Mika said. They also discovered a problem with product longevity; at the time, their matcha milk spread was unable to last for long durations past their manufacturing date, which meant that Mika and Bone were forced to deliver their spreads directly to the doorsteps of their customers. 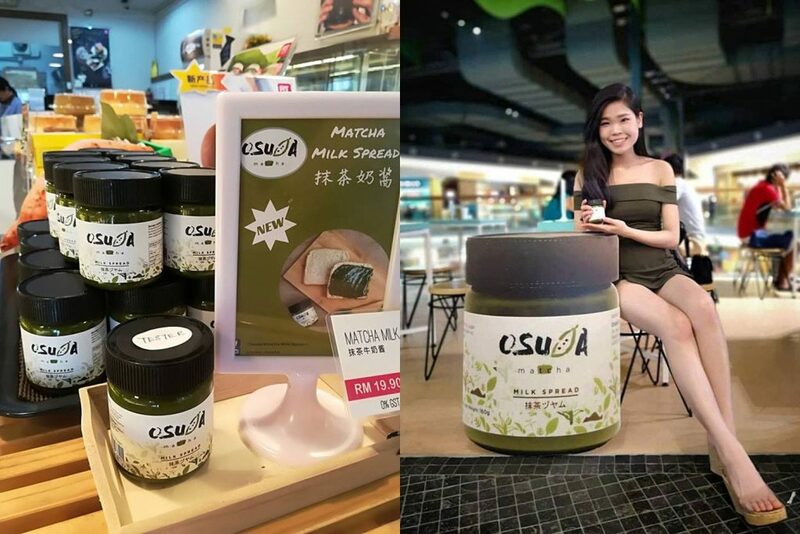 Osuda has managed to put their matcha milk spread in numerous outlets in the Klang Valley including supermarkets, fruit shops, and bakeries, and also in online marketplaces such as Lazada, 11street, Jenama.biz, and their own Facebook page. 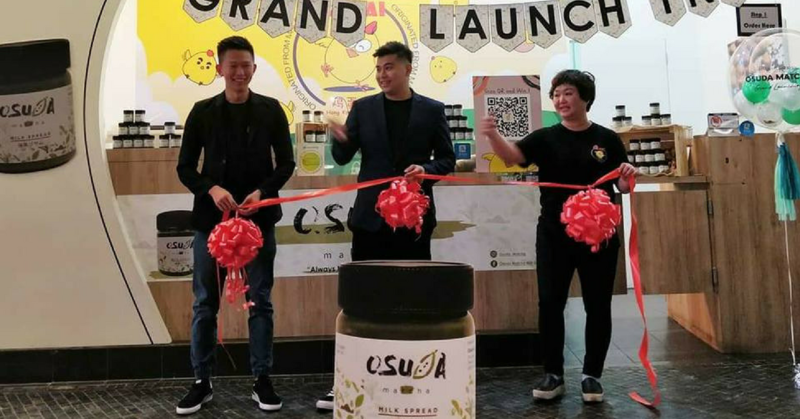 And when asked how good business is, Mika said that Osuda currently sells about 800 jars a month, with their revenues falling between RM10,000 to RM15,000 each month. These encouraging numbers, Mika thinks, are due to their positioning as one of the most affordable brands of matcha spreads (RM19.90 for a 160 gram bottle) in the local market, and also one that caters especially to local tastebuds. But even with business being quite satisfactory thus far, Mika admitted that there are still things to be done if they are to grow any bigger. But Mika and Bone are convinced that this is only a small hurdle, and that there are plenty of opportunities to bring their products to other markets. To know more about Osuda and where to get their spreads, visit their Facebook page.